The Internet is an integral part of everyday life for many people. For some, it has become a way of life. More and more people of all ages begin to use internet for various reasons. Many people use the Internet constantly, read news, send letters book cars and hotels, ordering food and shopping. 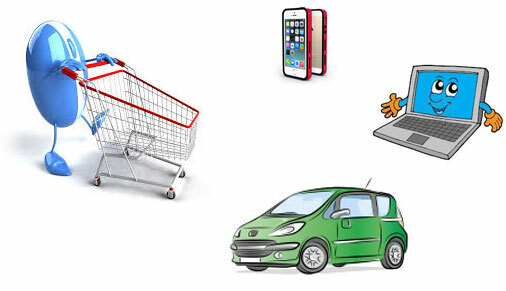 Online shopping on the web also replaced circling of shops, saves time and is convenient. In shopping online, consumers often have what they want and have the convenience to monitor prices and to compare different offers. Always check what are the feedbacks for the seller what are the terms of delivery and return of goods offered. Usually While Shopping on the net are required number of debit and credit cards, so always make sure that the site is sufficiently protected and your personal information are protected. If you order more expensive items, be sure you read the description and terms of the policy of returning the goods if there is a defect or problem. However online shopping is pleasant, saves time money, helping you to compare different models and products offered systematic offers according to your requirements. Try to purchase goods from merchants or correct sites, from big chains and their online stores and you will be certainly satisfied.